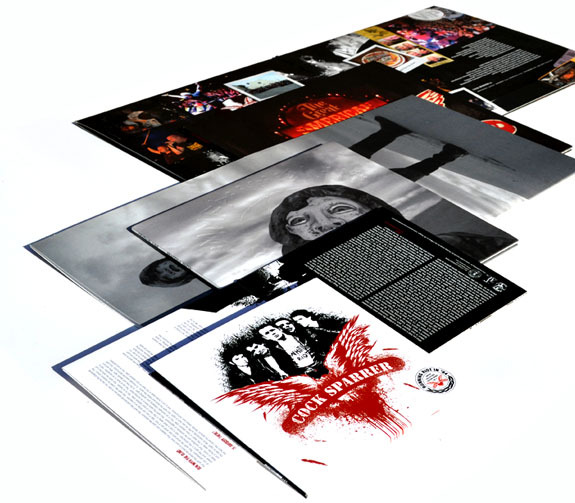 We offer double, triple and quadruple (printed and unprinted) gatefold jackets for records of any size. The stocks that we use for our standard gatefold jackets are as thick, and as nice, and hold up as well as anything you can find out there. Our printing capabilities are endless and our experience in making gatefolds is pinnacle to their success, as they are a tricky product to make. Our gallery and Record of The Week Blog both illustrate how successful our customers have been using this product as a launching pad for a brilliant overall package, and exemplifies how capable we are to meet the (challenging) needs of our client base. If you don't see the template you are looking for, or would like info on creating a custom die-cut or pop-up gatefold, please get in touch!